There's a veritable menagerie of awesome fighters in the game now. 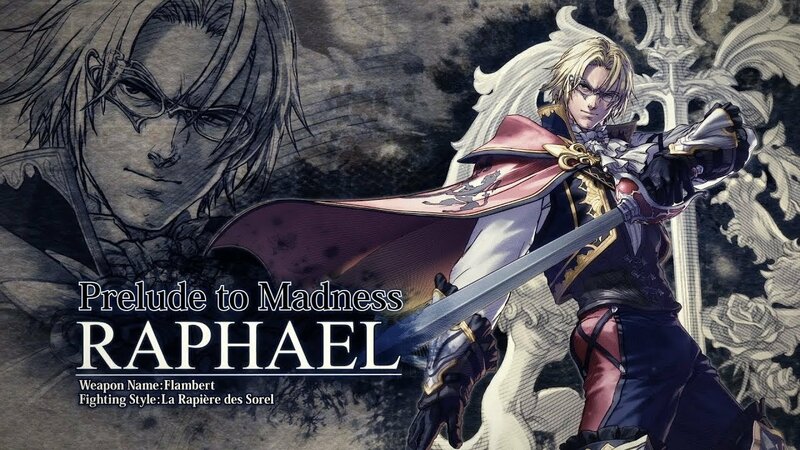 French nobleman Raphael Sorel is coming back to Soul Calibur 6 with his trademark weapon Flambert. Bandai Namco made the announcement ahead of Tokyo Game Show, dropping a new trailer that shows off the familiar character and a new getup for him that dresses him a bit differently than when we last saw him. He's kitted out with his famous sword and a gorgeous outfit, skipping out on the slightly vampiric look he was rocking before. You probably remember Raphael from his first appearance in Soul Calibur 2 and every other Soul Calibur game since then. You could say he's a favorite for faithful fans of the series. With this, my own personal set of Soul Caliber baes have been confirmed for Soul Calibur 6: Voldo, and Cervantes. Soul Calibur 6 now has 20 confirmed characters on its roster, including Ivy in all her glory, Mitsurugi, Kilik, Seong Mi-na, and new characters like Azwel and The Witcher's Geralt. If you can't wait to get your hands on it, Soul Caliber 6 will debut on Xbox One, PlayStation 4, and PC on October 19.